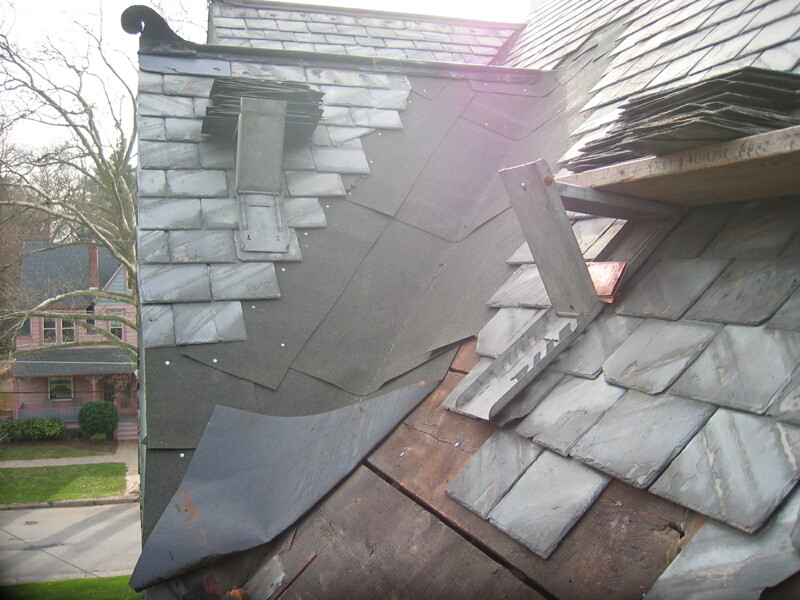 The valley flashing failed and the roof leaked. A "Roofer" installed roofing tar to the valley flashing, this is only a temporary repair, allowing more damage to the roof decking. Our "Slater" carefully removed the valley perimeter slate and set them aside for re-installation. Then removed and disposed the valley liner, repaired the damaged roof deck and installed an underlayment to the roof deck. 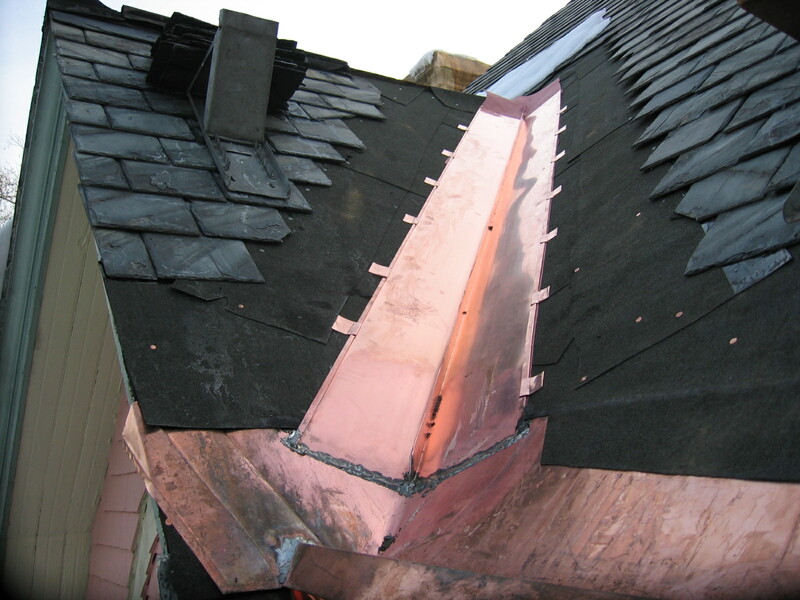 A new 16oz copper valley liner was fabricated and installed. 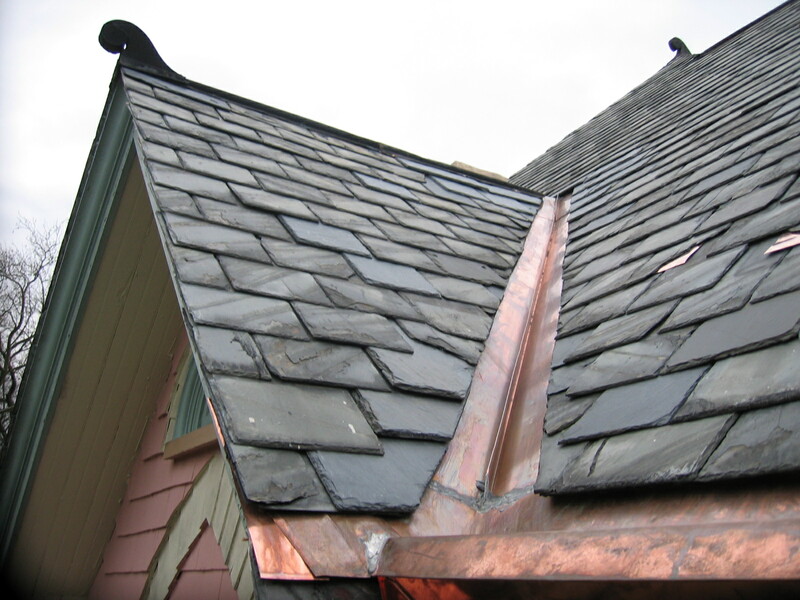 The valley liner is installed with a "Slater's Edge" and is cleated to the roof deck, no nails will penetrate the valley liner. This will allow the valley liner to expand and contract with the temperture changes. 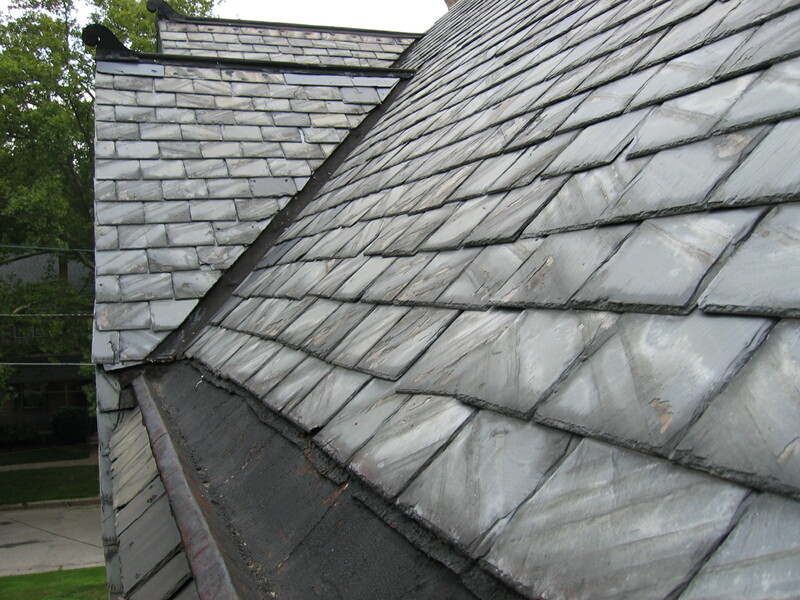 The valley perimeter slates are re-installed and the valley properly restored and will protect this home for another eighty years.